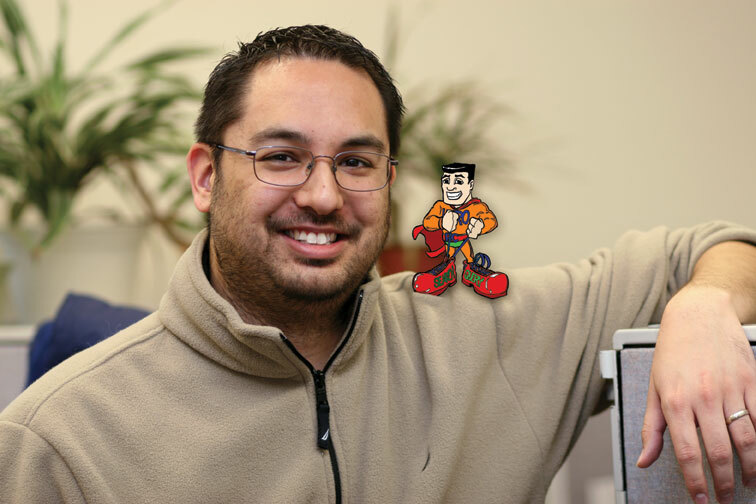 But the story of how East and Hanapin branched from SEM into Web design better illustrates the former English major’s entrepreneurial spirit. East met with a client that expressed interest in SEM, but really wanted a completely redesigned Web site. "The entrepreneur side of me said, ‘Sure, we’d love to redesign the site for you,’" East recalls. "The practical side of me said, ‘OK… now how are you going to do it? You don’t even have any project management experience.’"
"So I just winged it. It took us awhile because of scheduling conflicts, but about six months later we launched the site. Two months after that, we hired a project manager for Web design, and have been busy with it ever since. We’ve even hired a second project manager!" So what’s the most important thing you know about being an entrepreneur? You can wait to have 100% of the information to make an absolute 100% confident decision, but by the time you’ve waited to get all the information, either the situation has changed and the information doesn’t apply or someone else who is quicker beat you to the punch. Director of Career Services Scott Crawford is doing a good job with the summer internships—lining them up, getting undergrads interested in them, and making sure they’re valuable. Wabash needs to keep doing more of this, expand the program, reach more alumni who want to do a summer internship, and make sure undergrads know that this can be one of their most valuable experiences before they find full-time employment.? I’m not referring to just an internship; I’m referring to a Wabash internship—where the goal is to make sure the undergrad has significant daily contact with the owner or president, so they learn as much as possible about running and growing a business.? It’s fun to help a business grow. If undergrads can get a glimpse of that, they’ll be hooked!